Longtime NBA player Glen Davis was spotted outside of the Loews Hollywood Hotel in Los Angeles on Thursday night, shortly after exiting what our source believed was a brand new Lamborghini. 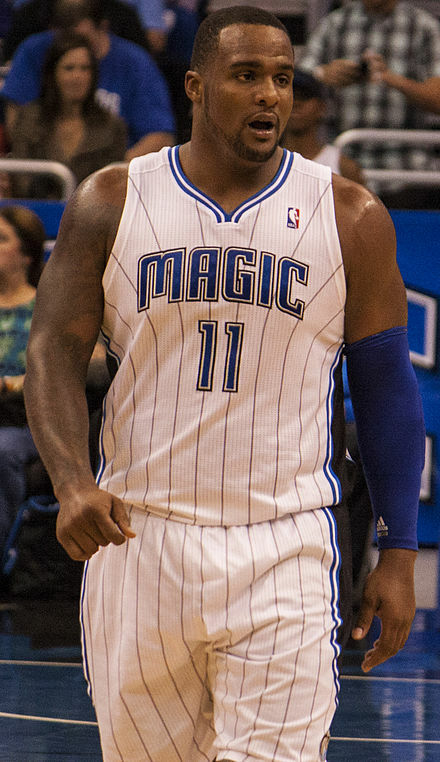 After starring at LSU, “Big Baby” played nine NBA seasons, with time split between the Celtics, Magic and Clippers. He last took the court during the 2014-15 campaign. For his career, the Baton Rouge native averaged 8 points and 4.4 rebounds per game, amid tallying double digit scoring outputs on three occasions. The now 30-year-old was a member of the Celtics 2008 NBA championship team.